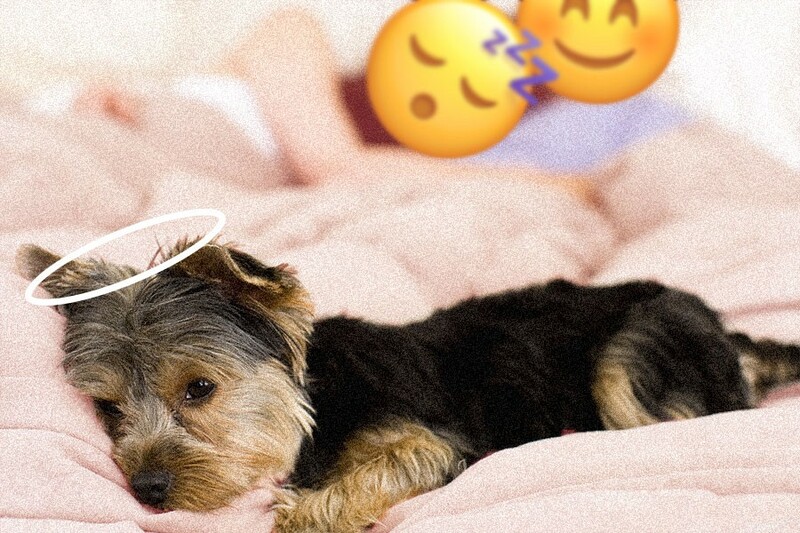 Dogs and dog lovers, rejoice: A recent study found that allowing your four-legged friend into the bedroom doesn’t worsen your sleep, contrary to what had previously been suspected. To come to this conclusion, researchers strapped 40 healthy adults and their dogs with sleep trackers for seven nights. On average, those who allowed their dogs to sleep in their bedroom (but not in their bed) maintained 83 percent sleep efficiency — the ratio of time spent asleep compared to time spent in bed. For reference, anywhere between 80 percent and 90 percent is generally considered satisfactory. Those who allowed their dog into (or onto) the bed, meanwhile, only lost a few extra percentage points on the sleep efficiency index, maintaining 80 percent on average. So go nuts, dog lovers. Either way, your dog won’t care much: “Regardless of location or an additional human bed partner, dogs seemed to rest well,” the authors wrote in their research.